If you have had a tiring whirlwind tour of Carolina, head over to the Ecco Bella Spa for a pampering massage and feel your stress melt away. Using modern massaging techniques, the staff at the spa is well trained and the services they offer will pamper you into feeling blissful. Some recommendations- EccoFacial, Back Cleansing, Spa pedicure, Hot stone therapy and Exfoliating scrub. Booking an appointment in advance is recommended. Other contact number is +1 7877627840. Love this? Explore the entire list of places to visit in Carolina before you plan your trip. Fancy a good night's sleep after a tiring day? Check out where to stay in Carolina and book an accommodation of your choice. 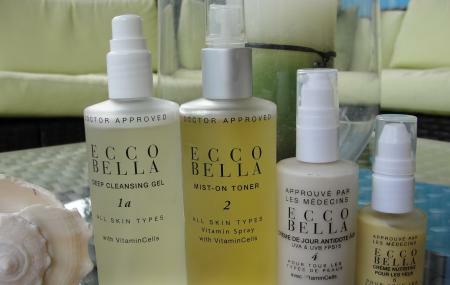 How popular is Ecco Bella Spa? People normally club together Museo Del Nino and Pine Grove Beach while planning their visit to Ecco Bella Spa.